The idea of investing money into the stock market can be intimidating to some and financially out of reach for others. But with the recent rise in popularity of online investing many of the old routines for trading are becoming outdated. Not only are the methods for buying and selling shares in a company changing significantly, the purchasing power over those shares is also starting to look very different. The newest advancement to make the financial industry stand up and take notice has been the growing phenomenon known as fractional shares. These are a whole new way to look at buying shares in today’s constantly evolving economic landscape and it’s opening up new possibilities for those individuals who were either too intimidated by the prospect of getting into the market or felt like they had been priced out of it all along. Simply put, fractional shares are exactly what they sound like in that you can purchase a fraction of a certain share. Consider some of the more popular (and expensive) stocks out there. Take Netflix, for instance, which is currently trading at around $280 per share. Some investors may balk at getting into Netflix for the sole reason that it’s just too expensive to buy. But with fractional shares investors who steer clear of the higher priced stocks now have the chance to get in by purchasing a piece or fraction of that share. So if you were to purchase Netflix on a fractional share you might buy one third of one share which would come out to around $93. Now investors who may have wanted to buy Netflix at some point are able to do so at a fraction of the cost. This new method for trading shares gives people a chance to put their money into those prestigious stocks that might have eluded them due to the cost of buying into them previously. The result is a whole new horizon of trading opportunities for potentially brand new investors who have never been involved in the stock market before. Of course, this isn’t something you are going to consider doing with smaller, low value stocks such as penny shares. These are already extremely inexpensive to buy, splitting them up into even cheaper fractional shares seems redundant and you won’t see much of a profit anyway. That’s why fractional shares are ideal for those stocks that are already trading at high prices. They make owning shares in some of the most successful and popular companies more affordable for anyone. This is a new concept, one that has only taken hold because of advances in the technology and framework necessary to execute these kinds of trades. Up until now, the idea was just that, a nebulous concept that didn’t have the sufficient support or structural apparatus upon which to complete these types of transactions. The main barrier was that it was all but impossible to do through the existing channels inherent to the traditional markets. But with online trading becoming such a popular method of playing the market, that missing infrastructure is no longer an issue. Now these fractional shares, which are mostly available due to certain corporate actions related to splitting of stocks and the implementation of dividend reinvestment plans, are more widely available and it gives first time investors a new way of being introduced to the market. In addition, there’s a very real demand for fractional shares because buying into the hottest publicly traded companies is so cost-prohibitive. They say you need money to make money, but at the current trading price of some of these major corporations, that adage has become painfully apt. It’s not just the companies that most of us have heard of before either, there are stocks out there that might not be as widely known yet they are trading in the thousands per share. Seaboard Corporation is trading at around $4,019 per share, double the price it was back in 2013. By comparison, Amazon seems affordable at around $1,590 a share. Both of these are dwarfed by the price per share of Lindt & Sprüngli AG, yes the Swiss chocolate maker, at a cost of $72,037. A share. Fractional shares of these companies makes them a little less daunting to the everyday investor who has a limited amount of money to play with when it comes to putting those resources to work for them. High entry costs have turned people away from investing but fractional shares provide the distinct advantage of lowering those barriers for common American households. Another great advantage is that it allows those newbies to test the waters, so to speak, and create a portfolio on a much smaller scale. Give that investor the feel of how the market works without sacrificing large sums of money to do it. You might even think of fractional shares as a Beginner’s Kit to the Stock Market. 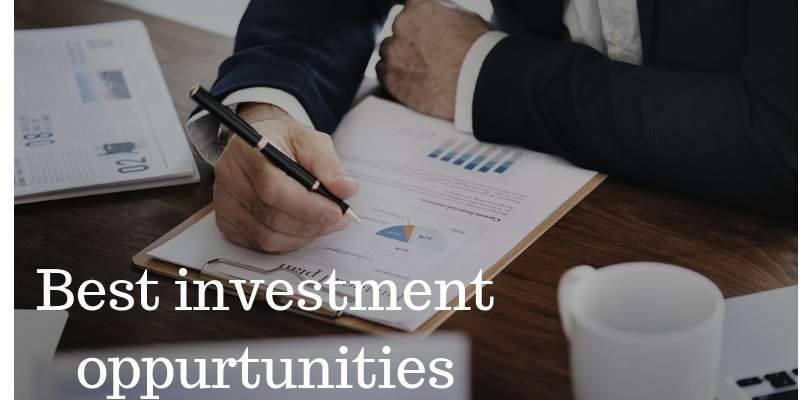 They’re also ideal for those investors who are very weary of risk as they’re not risking as much of their resources to own shares in a company they believe in. The idea is now catching on with more and more brokerage firms that conduct their trading electronically through online platforms. But keep in mind that the shares you own will dictate the amount of money you make. If you own a third of a share of a big company like Google, you can expect to make a third of the profit on that one share. Depending on what you own, that could be a few pennies or a few bucks at a time. So you may not expect to get rich quick on fractional shares but they are an excellent stepping stone towards gaining a greater understanding of how to play the market. Those who enjoy the process might then venture a little further out on the limb and purchase full shares of companies, both large and small, and work towards growing a diverse and lucrative portfolio of stocks and other investment instruments over the course of time.